The Mime Faction deck has been rebuilt with 60 unique cards. All of the existing Cinder Faction cards but have about 20 holes left to fill in the deck. The remaining existing equipment in to the Hantu and Isogo faction decks. 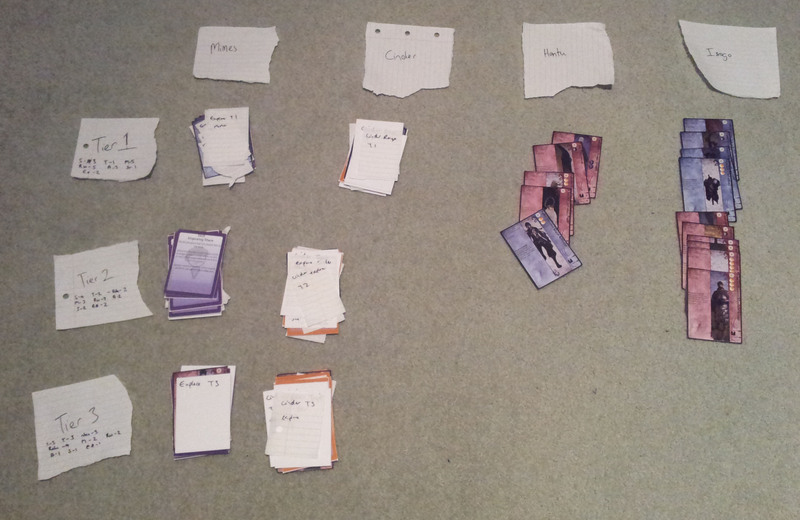 And just to show off my mad sorting skills, check out the image below.